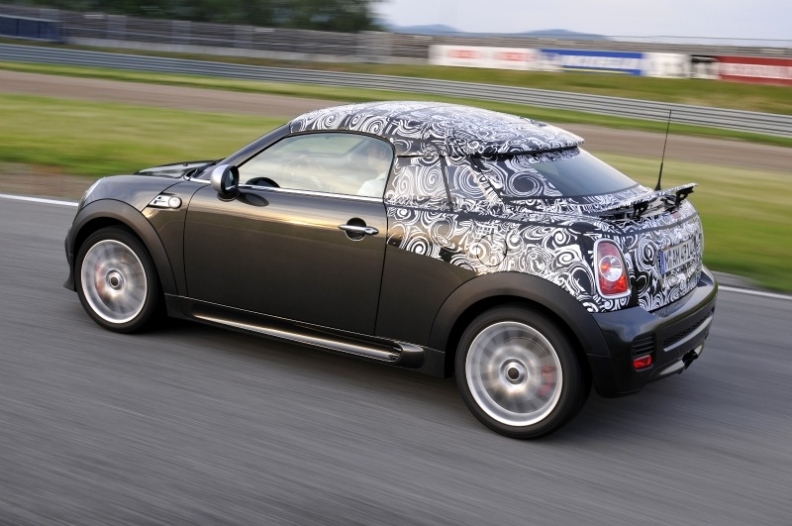 The new Mini Coupe, which goes on sale in October, will be produced at Mini's Oxford plant in the UK. FRANKFURT -- BMW AG will invest 500 million pounds (562 million euros) in Britain over the next three years, mostly on facilities to build next-generation Minis. "We have started preparing our UK plants for production of the next generation Mini and this investment underlines that the UK will remain the heart of Mini production," Norbert Reithofer, CEO of BMW, said during a visit to London on Thursday. "The Mini brand has made a significant contribution to BMW Group's success in markets around the world and we anticipate that this will grow further in the future," he said. Most of the investment will be spent creating new production facilities and equipment at the Mini plant in Oxford, the pressings plant in Swindon and the company's engine plant at Hams Hall near Birmingham, helping safeguard 5,000 jobs. The BMW Group has been producing the Mini at its Oxford plant since the iconic brand's relaunch in 2001. In that time nearly two million vehicles have been produced at the plant and more than 1.5 million units have been exported to customers in 90 different countries. The announcement came the day after Japanese group Nissan Motor Co. said it would invest 192 million pounds in Britain on the next version of its compact crossover Qashqai model. UK business secretary Vince Cable will visit Detroit next week where he will meet executives from Ford Motor Co. and General Motors Co. to press the case for further investment in Britain. Cable had talks with Nissan executives in Japan last week. Although the car industry in Britain is now largely foreign owned, it still employs more than 700,000 and accounts for more than 10 percent of exports -- an annual value of around 25 billion pounds. As part of the expansion of the Mini product line-up, the Mini Coupe will be launched in October, followed by the Mini Roadster in 2012 – both of which will be produced in Oxford.